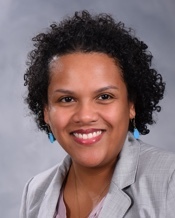 Mozella Williams, MD is a family physician at CHI Health Care, a non-profit integratively-modeled primary care practice with in Rockville. She attended Morehouse School of Medicine where public health and primary care was early interest. Not surprisingly, she chose a career in family medicine, completing her residency at the University of Maryland and enjoying the start of her career as faculty in the Department. Her academic interests have included creating and preserving a pipeline for medical students interested in primary care careers, particularly in underserved areas of Maryland. Her clinical area of expertise has been in low-risk obstetrical care and women’s health, though full-scope family medicine remains her true passion. She resides in Baltimore, MD.